The Human Centipede 3 Posters: Get a Brown Ey..
Review: The Human Centipede 3 (Final Sequence..
Official Trailer: The Human Centipede 3 Has G.. 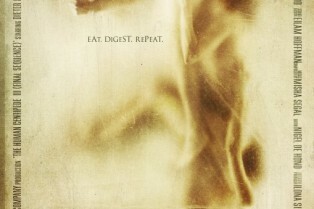 The Human Centipede 3 Poster: It Won’t ..
Writer-director Tom Six took to social media this morning to tease his upcoming The Human Centipede 3 (Final Sequence). The promo comes in the form of a YouTube video that shows us a photo accompanied by a sound clip. You can check it out here. The first still from writer/director Tom Six’s upcoming The Human Centipede 3 (Final Sequence) made its debut at EW (what is it with The Human Centipede and one of the nation’s biggest entertainment rags?). 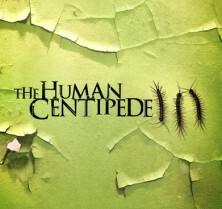 Teaser Art for The Human Centipede 3: Final Sequence, Tom Six Co-Starring? Tom Six is completing work on The Human Centipede 3: Final Sequence. There’s no telling right now when we’ll see it, likely sometime in 2014, but we have a clean look at the some sales art that was being tossed around the American Film Market last month. The Human Centipede news network, ahem, Entertainment Weekly has dropped a bit of casting news regarding Tom Six’s upcoming threequel. According to the site, Human Centipede 3 (Final Sequence) has cast Eric Roberts. Yes, Roberts is an Oscar-nominated actor, but let’s face it, the man’s career has been eratic for some time. He’ll appear in films like The Dark Knight, then jump to SyFy creature feature fare. Joining a film like Human Centipede should come as no surprise. Today, writer-director Tom Six returns to the world of Human Centipede for the threequel, The Human Centipede 3, and this time he’s going big. A 500-person centipede is being promised. And, he’s got Dieter Laser and Laurence Harvey (from the previously two films) coming back. But where is his latest round of madness all playing out? A recent casting notice may provide some clues. This could be spoiler territory, so you’ll have to head inside for more. The Human Centipede 3. What? You haven’t forgotten about this one yet, have you? That’s right, Tom Six is returning to the gross-out series to deliver one (final?) chapter. And he’s doing it with Dieter Laser after all. You might recall, the two had a legal dispute over the sequel last March. But EW assures the series’ fans that all is right between Six and Laser now and shooting is expected to begin this May. Laser, however, is not reprising his role from the first film. Select sites are running a piece of news that can be construed as the real deal…or just an early promotional stunt for Human Centipede 3. 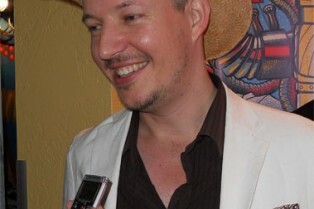 As we told you earlier, Tom Six is returning to the series to write and direct a third chapter on U.S. soil. Dieter Laser and Laurence Harvey are back to star, too, giving us the sense that Six intends to push the “meta” angles of the series even further. But now there appears to be “trouble” for the production. As revealed earlier this month, shooting begins in the U.S. this year with Dieter Laser and Laurence Harvey – of the first and second films, respectively – returning. Six himself will have a role, too.